Brexit, There is no Third way , says Tony Blair, as he was handed an egg by a Tory Mp, saying, he wouldn’t throw it at him. Blair’s speech in full. Former Prime Minister and Labour Leader the Rt Hon Tony Blair made a dramatic intervention today criticising the way the Tory Government lead by Theresa may conducted the the negotiations with the EU which was not ” handled very well”, as he said adding it became 2 half in-half out.” .Mr Blair wanted his message, that parliament was operating as a “shadow government by frustrating Theresa May over her Brexit deal and asserting control over the Government,” would accurately reach the entire nation, he gave a copy of a speech he made today at the Parliamentary Press Gallery monthly lunch, at which he was a guest speaker, to 200 Westminster reporters, MPs, Lords and influential media guests. The former Prime Minister backed MPs, arguing there was as much leadership on the backbenches as the frontbenches. 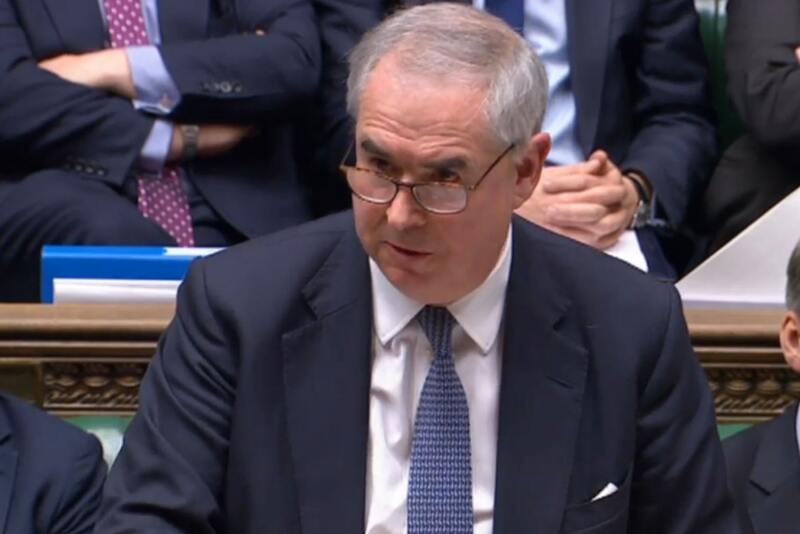 He also suggested the Prime Minister would be better off pulling the Commons vote on her Brexit deal on Tuesday 11 December, as she remains on course for near-certain defeat. 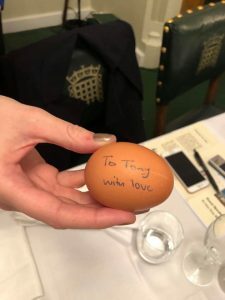 Just before the Westminster crowd sat to Lunch, their was a light hearted touch by Conservative MP for Beckenham, Colonel Bob Stewart who told the former labour leader, who sent British troops on 12 intervention, the most controversial of them was the wars in Iraq and Afghanistan, ” I wont be throwing this at you,” presenting him with an egg inscribed with ” to Tony with Love” . Mr Blair He said Prime Minster may had tried to square the circle of Brexit, with a deal that was “pain-less” but “point-full” – but lamented that there was no “acceptable third way” on the issue. 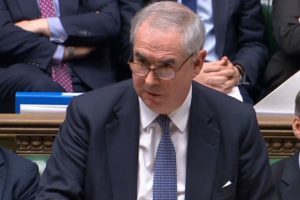 He argued that voters will feel betrayed by the deal put forward by the Prime Minister, and that a second referendum would be the only option if parliament ends up deadlocked. After Attempts to hide the legal advice over the EU Brexit agreement, the government suffered two defeats, and was forced at the end to publish it. Below is the attorney general advice in full. 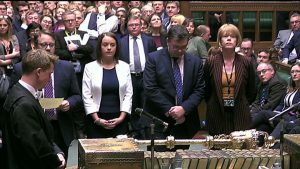 The government was forced to release this morning ( Wed 5 December 2018) after being defeated in the House of Commons last night . The government first tried to table an amendment to the six opposition parties motion, referring the matter to the privileges committee, which would have taken months to reach conclusion regarding the ministers contempt of parliament. 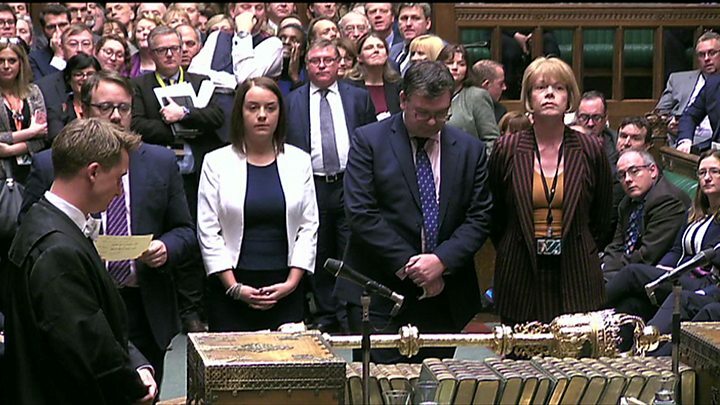 Then the government was defeated in the second vote of contempt of parliament.